Help Us Turn #MOLightsOn this October! It’s October and Lights On Afterschool is just 24 days away! Whether you host a small event in your program or a large community event, it is important to join this annual celebration of the importance of afterschool programs for youth, families, and communities. Check out some of our tips below and make the most of this year’s Lights On Afterschool. Take 5 minutes and register your event with the Afterschool Alliance. This is a quick way to let others know your event is happening by putting it on the map and sharing some basic information about your event. This also allows us to track how many events are happening all around Missouri. Get social for Lights On! Download the Missouri LOA Social Media Toolkit and plan your Lights On celebrations with social media posts. This is a great way to raise awareness for your event and the day in general and allows you to add your voice to the national conversation. Create a Lights On video and you could win a prize! This year, Lights On Afterschool is happening right before the MASN video contest deadline. You can make the most of LOA and the video contest, by preparing a video for your event and entering it into the contest. There will be two grand prize ($500) winners and two runner up prizes ($250). Read more about the video contest here. MASN wants your event to succeed! If there is any way we can help with last minute details or planning, please reach out to us and the MASN team can help. Also, make sure you visit the Afterschool Alliance Lights On Afterschool website, which is a wealth of resources for all things Lights On. From sample proclamations to press releases to event ideas, you can find it on their website. For more tips and tricks, check out our LOA webinar PPT from September. No matter what you do, remember – the main point of Lights On Afterschool is to celebrate all of the great work happening for youth and families in our communities every day. Youth development professionals, like you, work hard to make life better for the youth that you serve, and this is work that deserves recognition and a the chance to be in the spotlight at least once a year. What if Wednesday: Don’t get stuck. What If it isn’t just the individuals within an organization who need to be flexible? What If the organization itself needs to adapt at times? If you have been working in afterschool for more than ten minutes, you understand that flexibility and the ability to adapt to circumstances is critical to maintaining your sanity. Every day in an out-of-school time setting, situations arise that cause us to adjust our plans and actions on the fly. Whether it is a coworker calling in sick so we have to carry more of the load or an activity we have planned gets rained out, afterschool professionals know that the ability to be flexible and to adapt is foundational to our work with students. We have to practice being flexible and adapting on a day to day basis. There is a tendency in humans to want to remain comfortable. It is in our nature to find a place of safety and comfort and then stay there. The problem is that things keep changing around us. When we keep doing things the way we’ve always done them, over time what we offer can become less relevant to those we are working to serve. What worked yesterday may not work tomorrow. Our approach can become outdated. This goes for individuals and for organizations. So, how do we combat this tendency? What do we need to do to practice being flexible and adaptable? Be Proactive. It is usually easier to change on your own terms than it is to change because you are being forced to change. Set regular times to evaluate what you are doing as an organization and as an individual. Ask questions about why you are doing something a certain way. If you have a solid justification for doing it that way, then keep doing it. If you are doing something because that is the way it’s always been done, it may be time for a change. Stay current on trends in education. Read books and articles that are relevant to how you would like your program to operate. Talk to others in the field to find out how they are approaching different components of programming. Keep your mind open to ideas and opportunities that will improve your organization, even if it means changing the way you operate. This doesn’t mean you chase every trend and fad, but it can help you stay aware of how things are changing and how you might be able to adjust what you do. Look forward. You will need to be intentional about this one for sure. It is so easy to get caught in the routine of the day to day and to forget about the long term. A good practice is to sit down once a year (now would be a good time!) and talk with your coworkers about what you would like to accomplish throughout the year. As a discussion starter, talk about what your students, their parents, your funders, your community, and school administration would say about your program at the end of this school year. What will you need to do for people to say these things about you and your program? Keep an eye on the future in all that you do and adapt where you see the need. Flexibility and adaptability are necessary when working with students. They are just as necessary as we look at the big picture of afterschool. What If you practice being flexible and adaptable in order to help move your organization forward? What If you are intentional about MAKING time this summer to plan for the fall? By a show of hands, how many of you are procrastinators? Next question, how many of you feel you work better when you are under pressure? Yep, seems like the same people! In the world of afterschool, procrastination often feels like a necessity as we take care of the daily challenges of the school year. Then, we jump directly from programming in the school year to a summer program, with no break in between. If we’re lucky, we get a couple of weeks “off” toward the end of summer. This is our life! Often there is so much happening around us, and we are so busy, that we put things off, whether we want to or not. We get caught up in the urgent and fail to pay attention to what is important. Many times, our planning time suffers greatly. Planning is an easy thing to put off because the results of planning are not immediately seen. Yes, we can look at the plan and know that we will put these things in place soon, but there is not usually an immediate action. It is all for the future. And our “deadlines” for creating a plan are not usually hard and fast. Often, the target date is self-imposed, and studies show, self-imposed deadlines are rarely effective. What is a procrastinator to do?!?! It is easy to say “Yes, I know I need to plan”. It is another thing to actually create the time to make it happen. Here are a few ideas to help with planning. Ask someone to help keep you accountable. As stated before, self-imposed deadlines are often ineffective because there is not an external accountability factor. It is too easy for us to defy our own suggestion to meet a deadline. What If you ask a colleague or a friend to check in on the progress of your planning? Knowing that someone outside of yourself is paying attention to the progress can be just the motivation we need to stay on task. Break your planning down into manageable chunks. Planning for a whole year, or even for a semester, can seem so overwhelming that it is easier to leave it to the side and do something else. What If you create a plan for nine weeks at a time or for a month at a time? Planning for a shorter time frame takes some of the magnitude away from the task and you can spend a shorter amount of time each day planning. Schedule time for planning and treat it as an appointment. Most of us are pretty good at keeping appointments, whether it be with a doctor, a parent connected to our program, or meeting a friend for lunch. What If you adopt the mindset that your planning time is an appointment time that you cannot miss? Setting aside time on your calendar to plan can make it feel like an appointment you need to keep. Don’t “find the time” for planning. Be intentional and “make the time”. Not to put any pressure on you (well, maybe a little pressure! ), but it is now the end of June. Most of us have a little over a month and a half before the school year kicks off and we hit the ground running full speed. Make time over the next 45 days to work on your fall plan. Put a planning time on your calendar, plan a little at a time each day, and find someone who will keep you accountable and on task. The more you can plan now, the easier it will be when the school year starts and you are neck deep in the everyday of afterschool. As one procrastinator to another, I know this to be true! Even though school is out and many programs are closed for the summer, now is a perfect time to focus on advocacy efforts. The budget process really kicks off this month as the Labor, Health and Human Services, and Education Appropriations Subcommittees will meet in the House and the Senate. The House started the FY19 budget process last week, and their initial bill maintains 21st Century Community Learning Centers funding at FY18 levels. The Senate is expected to begin their process later this month. Read a full report from the Afterschool Alliance here. While it is encouraging that Congress does not seem supportive of the administration’s proposal to completely eliminate the program, there is still a long way to go in the process. A final budget is not expected until after the November 2018 election. 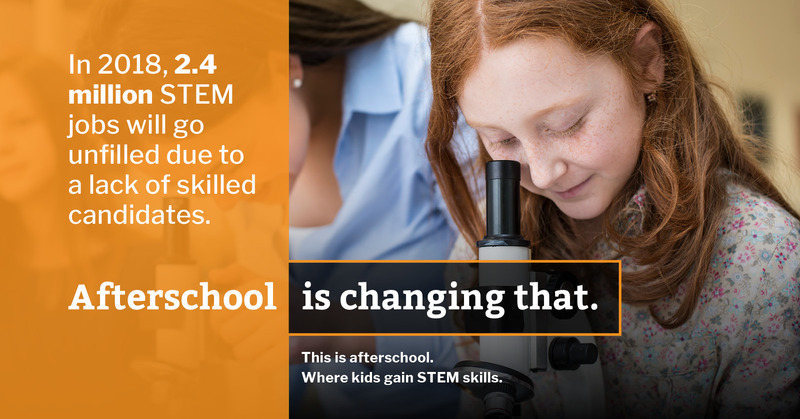 Use this super handy link from the Afterschool Alliance to send messages to your Representative and Senators or give their office a call in less than 5 minutes. Set up a time to meet with your member of Congress and/or their staff in district. Contact Casey Hanson at hansoncb@missouri.edu for guidance on how to do this! No matter how big or small the action, we need to ensure that our legislators are hearing from us about afterschool. So whether you have 5 minutes to make a quick contact or several days to plan an event, you must make sure your voice is heard over the next few months. Even though school is out, many professionals throughout Missouri and the nation are working hard to keep kids learning this summer. That’s why on July 12, the National Summer Learning Association will host its annual awareness event – National Summer Learning Day – to highlight the importance of keeping kids learning, safe and healthy every summer, ensuring they return to school in the fall ready to succeed in the year. A place to add your Summer Learning Day event to a national map. Resources to help promote the value and importance of summer learning. A “Take Action” Center to help you contact Congress regarding summer learning. Summer Learning is a key piece of the out-of-school time puzzle, and it’s important that we continue to advocate for opportunities afterschool AND in summer, so that when school is out, we know youth have a safe place to be where they can explore, learn, and grow. Sitting here on a Monday morning, three days removed from yet another school shooting in America. Every time it happens, I have a reaction. This time, I can’t get it out of my head. What needs to happen in order for these tragedies to stop occurring? Personally, what can I do about it? What can we, in the afterschool world, add to the possible solutions? What do the kids need? What are they missing that is leading them to commit these horrific acts? This will not be an argument about gun control, mental health, or some other factor. It is a question about what can we do in an afterschool setting to help stem the tide of violence at school. What If we explore the idea of creating more afterschool programs for teens? The prevailing thought in afterschool seems to be that programs are crucial for elementary students and that programs are beneficial, but not necessary, for secondary students. We need to recognize that secondary students are still kids. They may look like grown-up people and they are gaining new abilities to think and to process emotions and to navigate relationships, but they still need guidance and assistance in getting through the complex world we live in. A solid afterschool program may be just the place to help them develop the skills they will need throughout their lives. What If we think about the problem at our local level? It is often heard after an event like this “I didn’t think it could happen here.” We can’t do anything about what is happening in other places but we can be purposeful about what we do in our own setting. Stop thinking in a way that creates a narrative about them, out there where these things happen, and adopt the viewpoint of us, where we are all in this together. We won’t ever get every kid. There is no way to reach all of them. We won’t stop all of the violence. We know that. However, we can make an effort to reach out to all of the students around us. You never know the impact your kind words or your invitation to be a part of something may have on a struggling student. What If we are intentional about checking in with our students on a regular basis? It is so easy to get caught up in the immediate work or in the routine of what we do. Be intentional about asking your kids how they are doing and what is happening with their lives. As adults, we need to listen to what our kids are saying and be aware of the things they may not be saying out loud. Active listening is a skill we can, and should, develop in ourselves. Practice it with your students. Check in with them often. What If we are intentional about planting seeds of kindness and resilience in our students? The pattern many of these heartbreaking incidents seem to have is that they are committed by young people who have been slighted or marginalized in some way. We have the opportunity in our afterschool program to weave social emotional learning through all that we do. Talk about the importance of kindness and empathy. Give students the tools to be resilient. Teach them to take a long-term view of their lives. Demonstrate kindness and resilience in your own life. On purpose, we must do everything we can to develop strong social emotional traits in our students. Bill Milliken, founder of the dropout prevention organization Communities In Schools, holds the philosophy that, “It is relationships, not programs, that change children.” Afterschool programs can serve as the vehicles for caring adults to develop relationships with young people. This includes afterschool programs for secondary students. Create an afterschool program for high school students. Bring them hope for a positive future. RSVP for the Day of Sharing Facebook event. On May 9, log on to Facebook and Twitter and share your afterschool story, using the #ThisIsAfterschool and #AfterschoolWorks hashtags. If your story has a STEM focus or theme, this is great, too, as the event is happening at the same time as the National STEM Summit. While you’re on Facebook and Twitter, you can share and retweet posts from the Missouri AfterSchool Network (MO_Afterschool) or the Afterschool Alliance (@afterschool4all) to keep the buzz going throughout the day. You can also visit the Afterschool Alliance website here to find more tools and social media post samples. We can’t wait to see all of the posts from our Missouri Afterschool community on the Day of Sharing tomorrow! Also, if you haven’t already, RSVP to join us for our final committee meetings of the year on Thursday, May 10 in Columbia.